Ray Charles On Piano Jazz Ray Charles was one of those rare musicians whose musical style blended many genres, drawing on jazz, rhythm and blues, gospel, country, and rock 'n' roll, to create a unique and soulful sound. Hear Charles play "Oh What a Beautiful Morning" before joining McPartland for "The Man I Love." 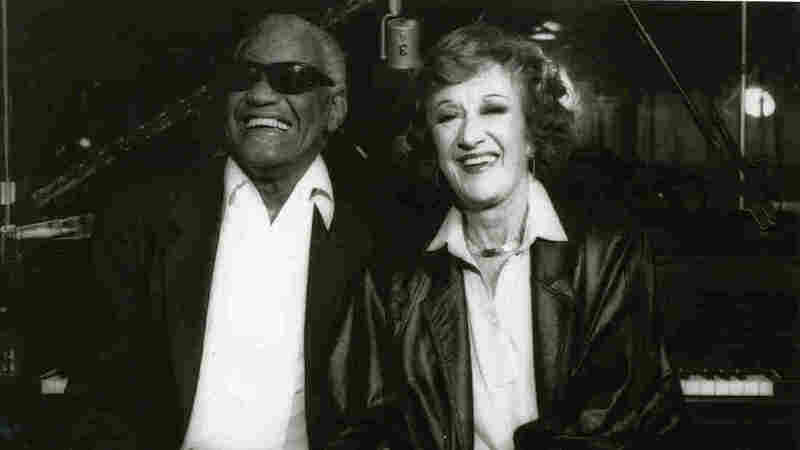 Ray Charles and Marian McPartland. Singer, pianist and composer Ray Charles is one of the most legendary musicians of the 20th century. His unique style drew on a wide variety of influences that can be traced back to the music he heard as a kid growing up in the rural South: the blues music played by the men in his town, the gospel music he heard at church, country music on Saturday-night broadcasts of the Grand Ole Opry, and the big-band music of Ellington and Basie that he heard late at night on the radio. Charles was born Ray Charles Robinson on Sept. 23, 1930, in Albany, Ga. He slowly began to lose his eyesight as a child; by age 7, he was blind. 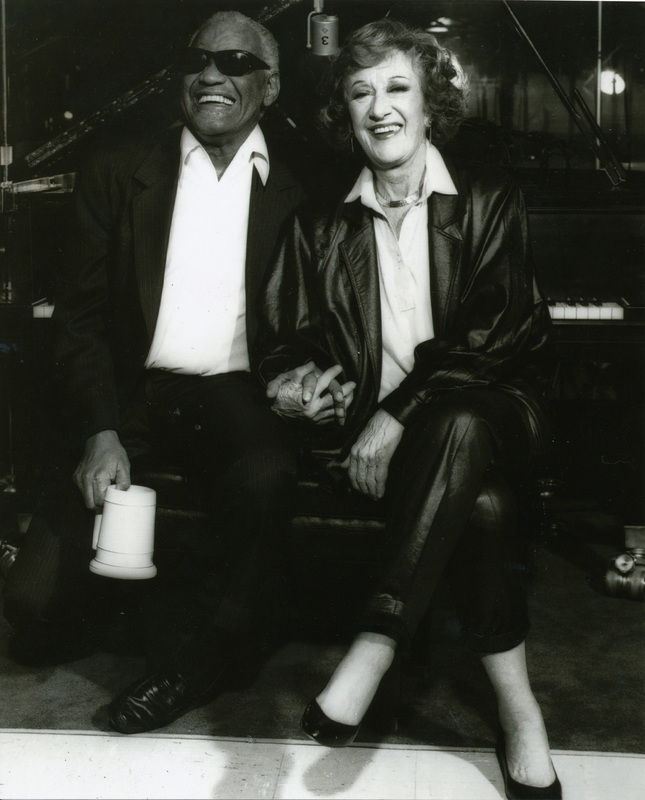 He went to St. Augustine's School for the Deaf and Blind, where he began formal piano lessons. He studied classically there, but he enjoyed sneaking jazz and blues licks into his practicing. After the devastating death of his mother when he was 15, Charles went to stay with friends of his mother in Jacksonville. There, he also began his professional music career, playing with local blues musicians. After gigging in clubs throughout Florida for several years, Charles moved to Seattle and started his own trio. He was 18. Throughout the '40s and early '50s, Charles began developing his unique genre-blending style in clubs throughout the Northwest. Though he had originally modeled his style after Nat "King" Cole, Charles eventually found his own voice. His early successes included songs such as his first R&B charting tune, "Baby Let Me Hold Your Hand"; his debut single with Atlantic, "Roll With Me Baby"; and "It Should Have Been Me," which made it to #7 on the R&B charts. In the late '50s and early '60s, Charles began his rise to fame with chart-topping crossover hits such as "What'd I Say," "Georgia on My Mind," "Let The Good Times Roll" and "Hit The Road, Jack." During a career that spanned 58 years, Charles' unique contributions to popular music spanned 250 albums in various genres, from soul to jazz to country to gospel. His artistry has been recognized with 12 Grammy Awards, a Presidential Medal for the Arts and the Kennedy Center Honors, just to name a few. Charles died on June 10, 2004, at the age of 73. At the time, he was working on a duets album called Genius Loves Company that featured Charles' collaborations with Elton John, Bonnie Raitt, Norah Jones and Van Morrison. The album was released in August 2004, won countless awards, and hit #2 on the Billboard charts. Originally recorded Jan. 9, 1990. Originally broadcast April 6, 1991.